Getting enough sleep is a crucial part of our wellbeing and mental health. Sleeping allows our minds to collaborate themselves and to process emotions. If you aren’t getting enough rest this can lead to a weakened immune system and make you more prone to depression and anxiety. Racing thoughts can stop us being able to drift off quickly and naturally. If you aren’t falling asleep after 5‑15 minutes of being in bed, then Harley Street’s own hypnotherapist Fiona Lamb is here to help with her five simple methods to fall asleep in five minutes. 3. Roll your eyes backwards ‑ you can simulate the same eye movement you experience in sleep by rolling your eyes upwards and back. If you do this three times you will automatically feel yourself going into a deeper relaxation. 4. Hum to yourself ‑ studies have shown that the vibrations of humming can relax you. It can also act as a distraction from anything unwanted that pops into your mind. Be sure to choose a song that isn’’t too fast or reminds you of anything emotional! 5. Visualise ‑ use the power of your mind to focus on calming and restful images. Imagine going back to a time you felt deeply relaxed and content. This works best when you use at least three senses so think about what you saw, felt and tasted. 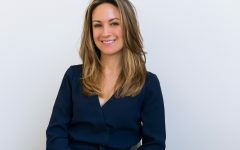 Based in Harley Street and High Street Kensington, Fiona Lamb specialises in helping her clients navigate anxiety, emotional eating, and addictions by using a variety of bespoke hypnotherapeutic treatments that work to get the quickest changes for the client. Amy is an NCTJ-qualified journalist. She works full-time as an editorial assistant on PTA+ Magazine writing about fundraising and education. She also freelances for her local magazine in Sussex as the community journalist. Amy enjoys freelancing about lifestyle topics such as careers, health, travel and relationships.